Whether in Romania or in France, where I currently live, people are often curious to know why I left my home country. Especially at such a young age: I was only 18yo when I left Botoşani (Moldova County, northern Romania) to go to Paris. I have heard many theories regarding my departure. Some people assumed it was because of corruption. Others thought that I came from a wealthy family or, on the contrary, I wanted to make easy money out of my family’s sight. People made many assumptions while time passed by and I wasn’t coming back to town. The truth is when I left Romania, all I wanted was to go study abroad in a civilized country with a less corrupted system. And where I could have a chance of doing what I wanted in life. In high school I already had a clear idea of what I would love to do in life. I wanted to become a “marketer” and work internationally. I was dreaming of a job that involved communicating with people around the world and travelling. Before applying to Sorbonne and deciding to go study abroad, I wanted to do a part-time job at the printing-house in my home town. But when I went there with my resumé, I was laught at. What was a young girl like me doing there? Why was I looking for such a job when I could be a waitress in the bars and restaurants nearby? The job I was applying for was clearly not for me. Apparently I didn’t have the skills to do some research for small articles. They didn’t even ask me where was I studying and how come I thought I was good for the job. They didn’t even let me say that it wasn’t about the money. That the only thing I wanted was just to have an experience there and learn more about the press and media system. That I would help them for free in my spare time. No. They just laughed at my initiative and clearly told me that there was no place for me there. I have always been interested in foreign languages and foreign cultures. Since I was a child, I would participate into language competitions at a local, national or even international scale. I was also fascinated by international commerce, marketing and communications. Unfortunately though, when I graduated from highschool in 2006, there weren’t many options for me in that area in Romania. A person with a linguistic background like mine had the choice between becoming a teacher or a translator/interpreter. There were only 2 universities (in Cluj and Bucharest) that had classes oriented vaguely towards communications and international commerce. And it was very recent, so I didn’t really feel confident about becoming a marketing and comunications professional by studying in Romania. At that time, there weren’t so many international companies established in Romania either. In high school I had the opportunity to travel to Western Europe (France and Italy) and I completely fell in love with Paris. It was the perfect choice for me. Paris was a big cosmopolitan city with people from all over the world and home to many international companies. I really appreciated the French culture and way of living. I spoke French and I knew some people living in Paris or in the suburbs. Sorbonne – the famous French university known worldwide – offered a course that really interested me. And, in addition to everything, I had access to a social scholarship and some public grants. This made the project more feasible from a financial point of view. However, my family still had to make some serious sacrifices in order for me to be able to study in Paris. Back then, in 2005-2006, the Romanian system wasn’t made for me and I couldn’t adjust to it. I wasn’t willing to compromise my hopes and dreams. I wanted a fresh start in a European country where people’s rights were respected. Where adults and the government had faith in the younger generations and helped them grow and blossom. I wanted to begin my adult life in a country where I could have access to culture, to information. Where I could be treated seriously. And people would be willing to give me a chance, let me dream big and try to accomplish my dreams. That country was France for me. Slowly but surely it became my home. I did all my higher education there. My first part-time job in tourism was in Paris, my first serious job in marketing, my second, my third 🙂 . I grew up as an adult there and made good friends. I met the man of my life. I left Romania 11 years ago but I haven’t completely let go. I made my life in Paris where I live happily surrounded by people I appreciate. But a part of me continues to feel Romanian. I am still very close to my friends and family there. And not only. A few years ago, when I started this blog, I realized that I had secretly hoped for a Romanian “renaissance” and a less corrupted country. Indeed, I am constantly interested in what’s happening in the country from a social and economic point of view. I am constantly trying to keep in touch with Romanian companies and people that have beautiful projects. 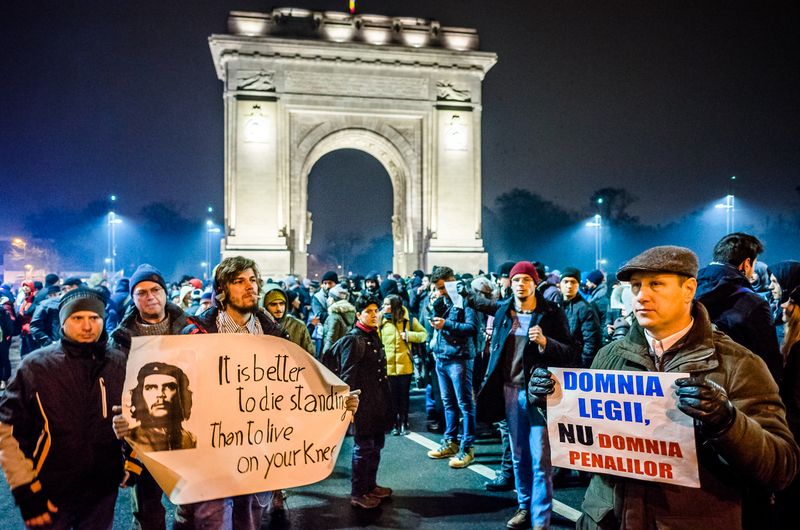 Or work in improving Romania’s image internally but also outside its national borders. I am always eager to discuss with people living in Romania or foreigners having visited the country and find out their impressions and ways of seeing things. I am not afraid or ashamed of my origins. On the contrary, I enjoy promoting my home country with its beautiful people, their interesting projects and the amazing authentic places to visit. Although my husband is French, as well as more than 50% of our guests, we celebrated our wedding in Romania. In Bucharest, to be precise. It was important for us to highlight that things are changing and the future of the country becomes brighter, more colourful and less grey or simply black and white. And in the years to come, I intend to continue promoting the country, travelling to its beautiful spots in the middle of the nature, hiking in the Carpathians, working with local companies on innovation, marketing and future growth.